As pleased as we were to see the JSA Omnibus Vol. 1 on DC Comics's 2014 release schedule, a big sticking point was that the book would collect only issues #6-28 of the original series, skipping issues #1-5 that were written by James Robinson and David Goyer rather than Geoff Johns, who joined the title with #6. DC Comics has apparently heard your cries, because as commenter David Raid points out, the contents for JSA Omnibus have now changed on Amazon. This isn't definite, but it's a pretty good sign that we're getting what we want. The original contents were JSA #6-28, JSA Annual #1, JSA Secret Files #2, JLA/JSA: Virtue and Vice, JSA: Our Worlds at War #1, JLA/JSA Secret Files #1, Secret Origins of Super-Villains 80-page Giant #1 and JSA All Stars #1-8. 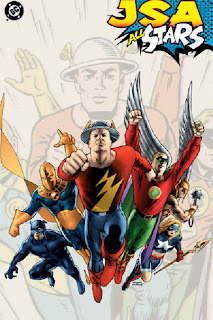 Amazon reports the new contents are JSA #1-25, JLA/JSA: Virtue and Vice, JSA All-Stars #1-8, JSA Our Worlds at War #1, JLA/JSA Secret Files #1, JSA Secret Files #1, All-Star Comics #1-2, All-American Comics #1, Adventure Comics #1, National Comics #1, Sensation Comics #1, Smash Comics #1, Star Spangled Comics #1 and Thrilling Comics #1. These new contents would encompass the JSA collections Justice Be Done, Darkness Falls, and Return of Hawkman, issues #1-25. We lose the Secret Origins of Super-Villains 80-page Giant, JSA All Stars, and maybe a Secret Files, though on my DC Trade Paperback Timeline, I show All-Stars as taking place during issue #40-something of JSA, so this is no big deal; they can get it in the next volume (my mistake; JSA All-Stars is in there). And, DC has added to the collection the various stories that made up the "Justice Society Returns" storyline, a set of specials set in the original Justice Society's heyday that included a Starman story by James Robinson, Star-Spangled Kid by Geoff Johns, Wildcat by Chuck Dixon, and Green Lantern by Ron Marz, among others. For those of us who've been waiting for the JSA Omnibus for a while, I know this is welcome news. But the new listing still has All-Stars as included. Could this mean that the backups featuring the original JSA is included in this first omnibus. With the main story possibly included in a later volume? Oops, you're right; I've fixed this (messily) in the post. Maybe it's just the back-ups and not the main JSA All-Stars story. A couple characters have new codenames in All-Stars such to place the book distinctly within the Princes of Darkness trade, but if DC collected it earlier it wouldn't be a big deal. Thanks for passing along the terrific news! This update moves this book squarely onto my "Buy" list. So, I guess maybe I should be angry at you for passing along this news. I'll be that much poorer that month! Sort of on-topic: I always felt (and I'm not sure that this is true) that "Justice Society Returns!" was a try-out book for who would take over as co-writer after James Robinson left the book. Look at the writers: Mark Waid (who featured Jay Garrick in "Flash"), Ron Marz (who featured Alan Scott in "Green Lantern"), Tom Peyer (writer of "Hourman") and Chuck Dixon (writer of "Batman/Wildcat"). Geoff Johns went into it with the fewest credits but with the most compelling case thanks to the awesomeness of "Stars and STRIPE", so it's no surprise that he got the position, but I wonder what Mark Waid's take on "JSA" would've been like. The fact that the omnibus isn't named "JSA by Geoff Johns Omnibus vol. 1" anymore is another step in the right direction, since Goyer had a big hand in the book's writing at that time, and Robinson helped launch it. 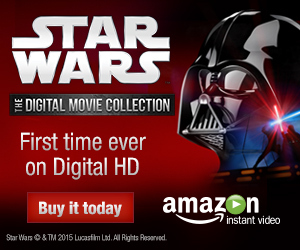 I'm still unsure, if I should get this, as I have most of the included material in some form or another. But it's good to see, that DC seems to have course corrected on this one. I have all the trades of this run and man I could not recommend buying this if you have never read JSA by Johns and Goyer. It is by far one of my favorite runs of all time and without question one of the best runs of the late 90s/early 2000s.